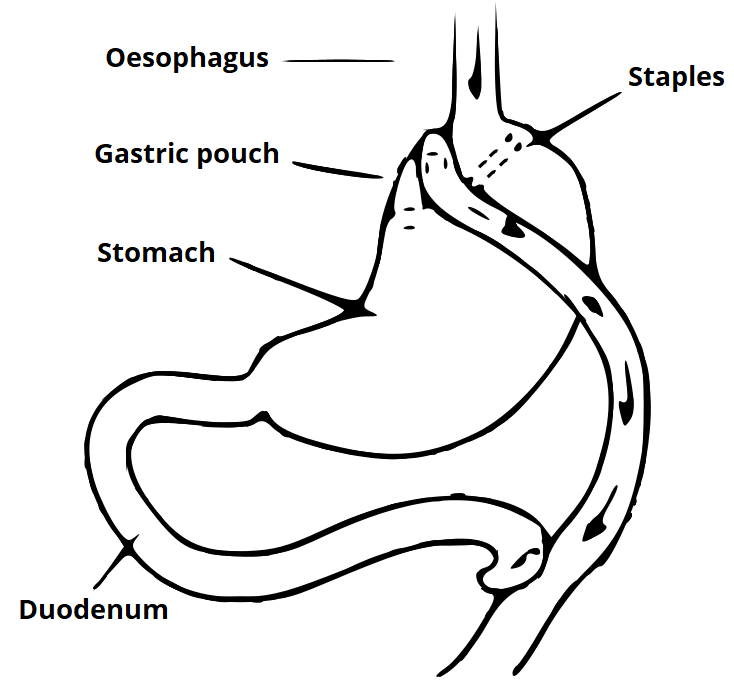 A gastric bypass procedure works via both a restrictive and malabsorptive mechanism. Most of the stomach is divided and a small gastric pouch formed. This is joined on to the small bowel approximately 0.75-1 metre from the caecum. Bile flow is restored via a Roux-en-Y anastomosis.